“Matilda,” a 1988 novel about a neglected but brilliant girl in Buckinghamshire, is not an easy piece to adapt into a musical. Yet the show has grown beyond expectations set upon its original Royal Shakespeare Company production. It has toured the UK, the US and other parts of the world since its West End premiere in 2011. On Saturday, the British Theater company is set to stage its first-ever non-English production of the show that will run until Feb.10, aiming to capture the quirky nature and edgy, black humor representative of the well-known book. “One particular thing (that stands out from the book) is the Quintin Blake illustrations, those elongated, spikey pictures. 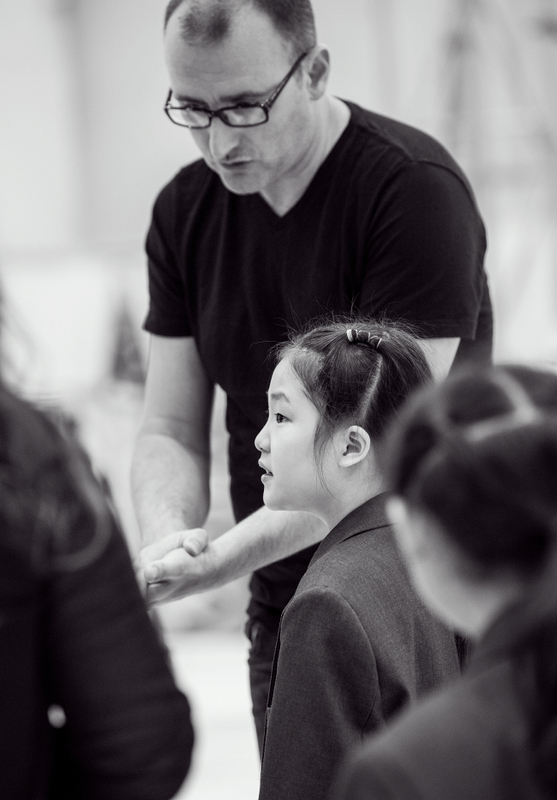 You’ll see that reference in the vocabulary of the movement of the show: Some of the choreography is quite abrasive, hard, and not much softness in terms of movement,” said Tom Hodgson, the associate choreographer of “Matilda the Musical” by the Royal Shakespeare Company who is working with the local production team for the upcoming show. As with most works by Dahl -- a British writer known for classics like “James and the Giant Peach” and “Charlie and the Chocolate Factory” -- the children’s novel extends beyond just a bedtime story to tell a multilayered story, a trait visible in the stage version. “The story is not predictable in any way,” said associate director Nik Ashton. Among the challenges that await is translating the dark humor, wit and satire that make it so appealing and on-point. Ashton cited the example of Miss Trunchbull, a middle-aged burly, rough and mean-spirited woman who plays the role of the villain. Due to her background, she is a character that loves the sound of proper speech in a “sort of Shakespearean type of way,” which is difficult to translate in a foreign language. “We’ve had to add more actual language. So the attitude comes from language, rather than just emotion,” he said. In addition to language, the physiques of the actors allows the show to visually contrast Matilda and the main antagonist. Traditionally, the character is cast as tall as possible -- the upcoming production features a 183-centimeter male actor playing the role -- and Matilda is cast as small as possible. For the Korean edition, produced by Seensee Company, four girls -- Ii Ji-na, An So-myeong, Hwang Ye-yeong, and Seol Ka-eun -- have been cast to rotate in the role of petite Matilda. While some adults have been cast to play the role of the title character’s classmates, many members of the ensemble comprise little children, which gives the show its own characteristics. Hodgson said that the biggest contrast to an adult-dominated musical is the quick pace enabled by having smaller actors. 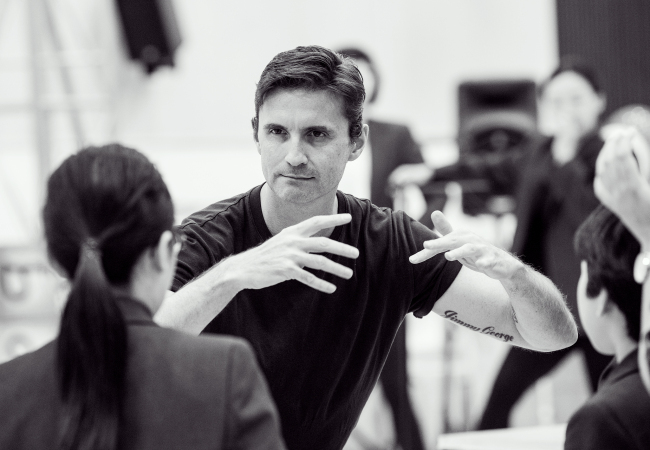 ‘That will hit you, the audience, how fast and accurate they are,” he said, adding that main choreographer Peter Darling’s goal has been to drive the story through each number, which all have particular styles. Among the numbers that speaks a major message is “Naughty,” one of the most well-known songs of the show,” in which Matilda sings that you can do a lot even if you are little. “Matilda” will be staged at LG Arts Center in Gangnam-gu, southern Seoul. The show runs at 8 p.m. from Tuesdays to Fridays, and at 2 p.m. and 7 p.m. on weekends and holidays, except on opening night and Sept. 16, when there will be just one 7 p.m. show. The Sept. 26 show will be at 2 p.m.
Tickets range from 60,000 won ($72) to 140,000 won.